Large commercial trucks are involved in some of the most devastating accidents on our roads. As with many times of accidents, there are numerous possible causes. Many people believe the primary cause of these accidents is vehicle malfunction or improper loading of cargo. However, studies have shown that driver error is the most common cause of commercial truck accidents. 1. Speed: Whether exceeding the speed limit or simply driving too fast for the road or traffic conditions, speed is a common cause of trucking mishaps. Many of these trucks are very large and heavy; they simply need a lot of room to stop. When the weather takes a turn for the worse, drivers of these vehicles must slow down to accommodate the increased stopping distances. All too often, they do not. 2. Substance abuse: Driving all day or night on the highway can be monotonous. Coupled with the isolation that truck drivers face, substance abuse is quite common in the trucking industry. Many of the drugs used are to stay awake when the drivers should actually be on break and sleeping. Nearly 50% of the accidents caused by driver error involve drugs. 3. Lack of proper truck inspection: Before each portion of a trip, the truck driver is required by law to inspect the truck. The intention of these inspections is to prevent the occurrence of mechanical mishaps, such as brake failures. The failure to properly inspect the truck at the required intervals can be the cause of an accident. 4. Driving while tired: There are strict rules regarding driving hours and breaks for drivers. These rules are frequently ignored and can result in a truck driver being too tired to concentrate or to even stay awake at the wheel. Any commercial driver is required to stop and sleep at specified intervals. 5. Improper passing: We’ve all fallen victim to that impatient truck driver that cuts into our lane on the highway. Drivers struggling to meet deadlines can be especially impatient and impulsive. Failure to follow safe passing procedures can put everyone in the vicinity at risk. Just like the rest of us, truck drivers must signal, examine their blind spots, and ensure there is enough room to change lanes and pass safely. If a truck driver has made any of the above errors, he or she is unlikely to be open and admit it. Proving negligence often involves a complicated investigation and a long paper trail. Witnesses must be interviewed and expert opinions must be gathered. The average person is unlikely to have the expertise, time, or financial resources to perform such an investigation. 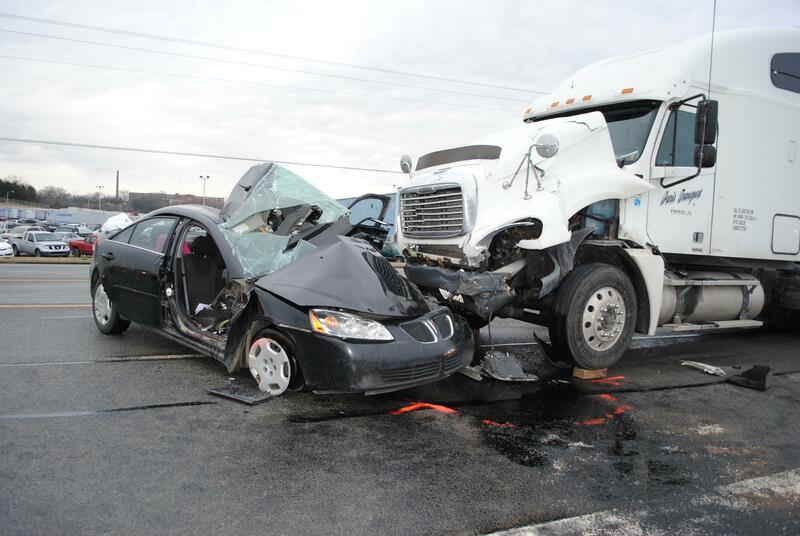 An experienced personal injury attorney has the resources necessary to fully investigate any trucking accident. If you have been the unfortunate victim of a truck accident, consider taking advantage of the many benefits an experienced Kentucky Injury Lawyer provides.